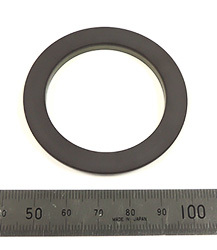 NTN Corporation (hereafter, NTN) has added a newly developed “axial type” of “Multi Track Magnetic Ring”*1 to the “radial type.” The developed product makes up thin, lightweight and high-accuracy angle detection sensor systems and its mass-production from July 2018. With the remarkable advances made to robotic systems in recent years, position control with a higher level of accuracy will be required. 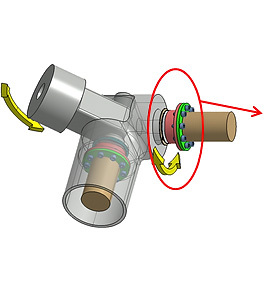 The various components used for robots are becoming more compact and lightweight, and robot joints in particular need to have a hollow shape with thin walls to allow wiring cables to pass through internally, for which small angle sensors with hollow shafts (φ25 mm or less) are generally used. The high-resolution, high-accuracy optical sensors often used in multijoint robots also have issues where they cannot function in environments with dust or oil present. 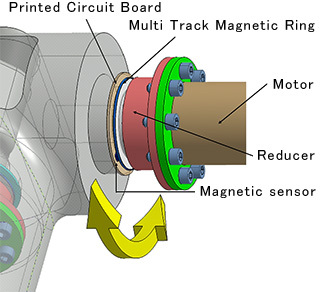 To address these issues, NTN has applied the magnetic ring and magnetization technology developed for products such as the Integrated Sensor Bearings and Hub Bearings with ABS Sensor to develop the “Multi Track Magnetic Ring” that features a magnetic sensor with the same high-resolution and high-accuracy as optical sensors. 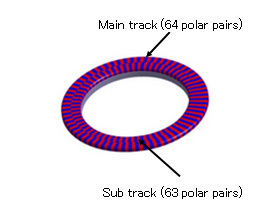 The “Multi Track Magnetic Ring” is a ring-type product developed mainly to detect the angles of robot joints which, when combined with the dedicated magnetic sensor IC*2, outputs data of absolute angles to at 17 to 20 bit (resolution of approx. 0.0027° to 0.00034°) that is adequate for angle detection. Being a magnetic type, it has superior resistance against vibrations, high temperatures, dust, oil mist and similar environments compared to optical types. 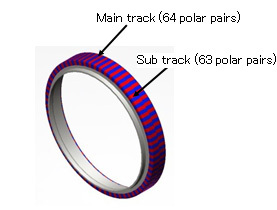 The newly developed axial type “Multi Track Magnetic Ring” is thin with an axial width dimension of 4 mm, which can contribute to more compact devices. 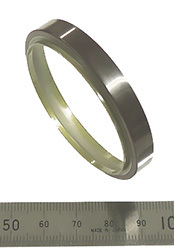 It has a hollow shape that is large enough to pass through cables internally (internal diameter φ41 mm), which means it is easy to apply for robot joints. NTN is strengthening its robot-related businesses as a type of new business field in the Medium-term Management Plan “DRIVE NTN100” that began in April this year. NTN will begin mass-production of the developed product for robot manufacturers, and continue identifying market requirements to increase size variations as a way of expanding business. Performance: magnetic type for superior environment resistance against vibrations, high temperature, dust, oil mist, etc.